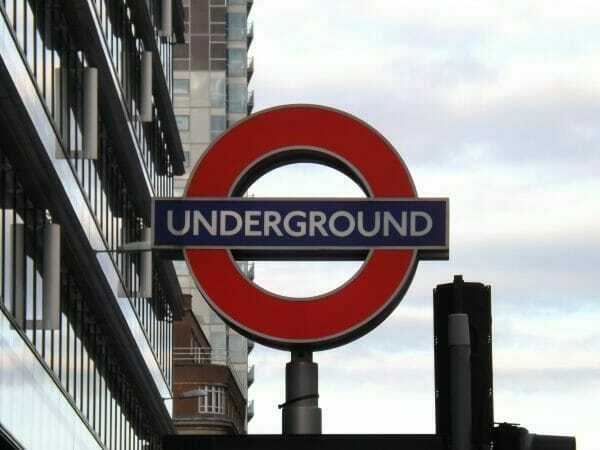 Eastenders who want to get into London or out into Essex have various tube lines to choose from. As well as using London Underground’s Central, District, Jubilee and Hammersmith and City lines, they can also access the glories of the Docklands on the Docklands Light Railway. Fun Facts about East End Tube Lines and Stations. Let’s look at some curious facts about the stations and lines you might be using if you use the tube in the East End. Or, to stick with Cockney rhyming slang, if you use the Oxo cube…..
Record breakers in the East End. East End tube lines can claim two records in Underground facts. Bow Road station, on the Hammersmith and City line has the steepest gradient on the entire tube network. Trains coming in to the station from the east have to deal with a 1 in 28 gradient. Stratford station, on the other hand, has a smallest record. It has the shortest escalator in the network. It has a paltry rise of 4.1m. East End stations in World War 2. Bethnal Green tube station, in the heart of the East End, was the site of the largest number of civilian deaths in 1943. This has nothing to do with the Underground or even with German bombers, but was simply a tragic accident. During an air raid, someone slipped on the steps leading down to the station, causing many of the following crowd to pile up at the bottom of the stairs. 173 people died and over 60 were injured. The Central Line wasn’t fully completed during the war, which made its station ideal locations as makeshift air raid shelters. A stretch of tunnels between Leytonstone and Gants Hill had a different use. Plessey used a 2.5 mile stretch of these tunnels to build an underground aircraft component factory. 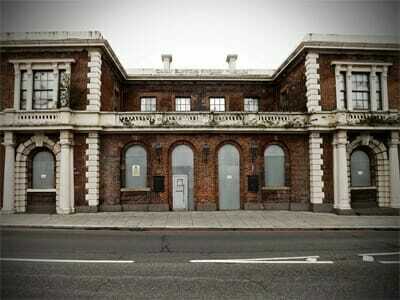 It opened in 1942 and made parts for three years, hidden away from bombing raids. When is a Jubilee not a Jubilee? The Jubilee line was given its name to commemorate the Silver Jubilee of Queen Elizabeth II. This is the only Underground line to connect with every other Underground line. It also didn’t manage to open until 1979. The Jubilee was in 1977, so the timing was a bit off there! This is, allegedly, the most complained about line in the Underground network. It is also the only line to use glass screens between the platforms and the tracks. These prevent passengers from trying to kill themselves on the tracks – the doors in the screens only open when a train is in the station and has opened its doors. Walford East appears on our TV screens regularly on Eastenders. It looks authentic enough and even has stairs to the platforms. They don’t go anywhere. The station is supposed to sit on the District Line but is actually a dummy building on the Eastenders film lot at Elstree. The town of Elstree is nowhere near the East End of London. Following the death of the famous London philanthropist, Thomas Barnardo, his coffin was partly transported to its burial site in Barkingside on a special tube that ran east from Liverpool Street. Only one other coffin has been carried by tube as far as we are aware and that belonged to the Prime Minister, William Gladstone. London Underground’s busiest day ever is recorded as happening on August 3rd, 2012. This was the peak of the 2012 Olympics and the network carried 4.4 million passengers. An awful lot of them passed through Stratford station on their way to the Olympic Park. 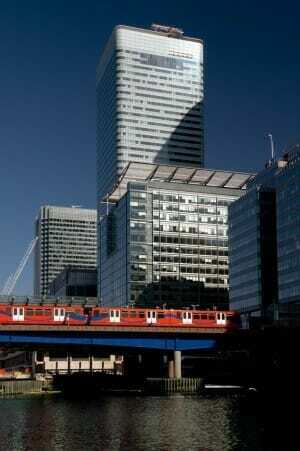 Canary Wharf is the biggest station on the Docklands Light railway, boasting an impressive 20 escalators. Designed by the famous architect, Sir Norman Foster, the station handles over 40 million passengers a year. It is the busiest Underground station outside of Central London and the busiest over the entire network that only has one line. Canary Wharf was also the scene for the shooting of the Scissor Sisters video, Mary. It also appeared in the Danny Boyle film, 28 Days Later. It can be a little unnerving to get into the first carriage of a DLR train, as there is no driver. Trains on this line run on remote control. You can sit right at the front if you like and pretend YOU’RE driving – always good with young children! Football fans who want to get to West Ham may assume that the logical station to get off at would be, well West Ham. Not the case. The nearest station is Upton Park, and West Ham is not really that close. Confusingly, if you want to see West Ham play in the future when they move to their new home at the Olympic Park, you’ll be using Stratford station. There are plenty of hauntings and apparitions all over the London tube network and a few in the East End. Sadly, it has been reported that at least one worker at Bethnal Green station has heard crying and screaming. This is held to be the ghosts of the people who died in the disaster there in 1943. Becontree station on the District Line is also supposedly haunted. This ghost is a lady in a white dress with no face who is thought to be the ghost of someone who died in a collision there in 1958. Finally, try a visit to Whitechapel station. You never know, but you could be walking in the steps of Jack the Ripper. The station was built in 1876, just a few years before he started his killing spree…..
As a tourist to London I found this site fascinating.